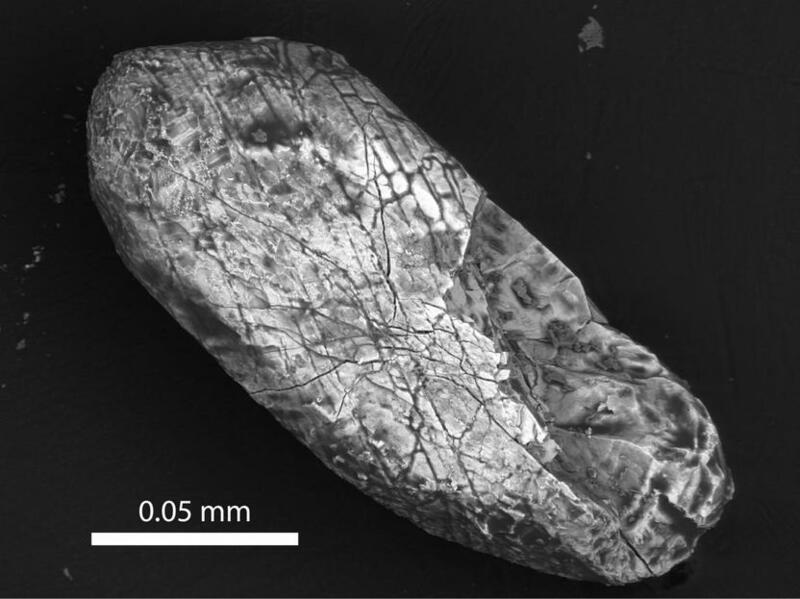 Scanning electron microscope picture of a zircon crystal from the Sudbury crater. 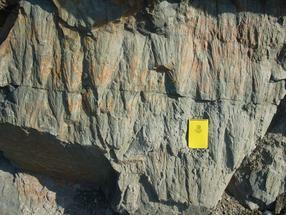 Shatter cones (pyramid-like structures) formed from the shock wave of the impact, and can be seen as that wave migrated through the rock from the bottom up. PhD Researcher in Trinity's School of Natural Sciences, Gavin Kenny, is first author of the article which explains these findings.